As the mother of two teen-agers, a woman of a certain age, married more than 21 years, I know harsh words and the ruin left in their wake. 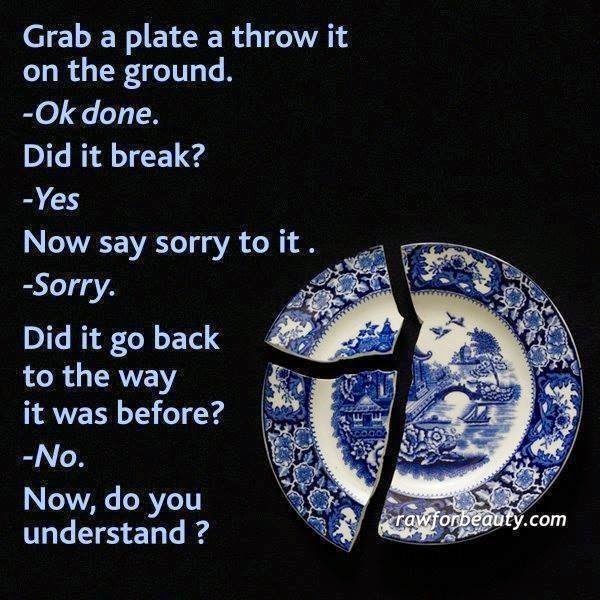 I’ve tried a number of analogies, e.g., nails in a piece of wood and the scars they leave, pin pricks in a balloon unseen but no less damaging, I try to model the right behavior, but I’m not always good at living the lesson. It’s time for a moult, I’m going to choose to find soft words, or else. I don’t like the harsh sound of my own voice, and if I don’t like being on the receiving end of unkindness, I certainly should not dish it out. I don’t deserve to be treated that way, and if I don’t, why should anybody else? I choose Grace. I choose soft words. Reading further into Proverbs 15 (Proverbs 15:13 NKJV) I find the payoff, not that I really needed it. You see, “a merry heart makes a cheerful countenance, but by sorrow of the heart the spirit is broken. “ Had I to meet my judgment now, I'd choose cheery countenances. Do you want to explain a string of broken spirits? Go right ahead.